Alternatively daily devotions. 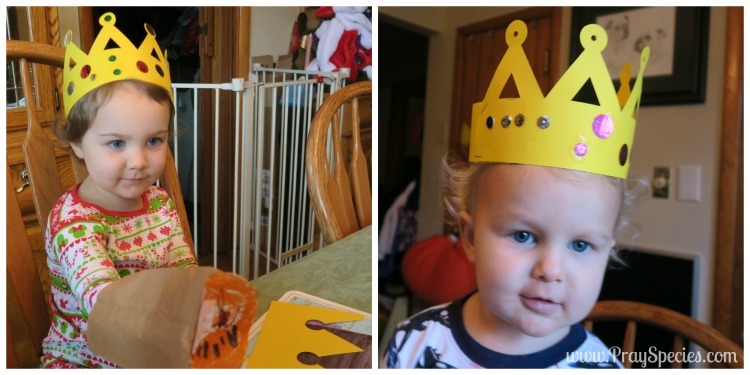 lasting approximately 10 minutes per day, is an alternative method which works better for me as a home schooler and may also be a better fit for small Christian day cares. When used as a daily devotional there are enough activities to cover six days a week for four weeks. The Lord goes before you and will be with you; he will never leave you or forsake you. 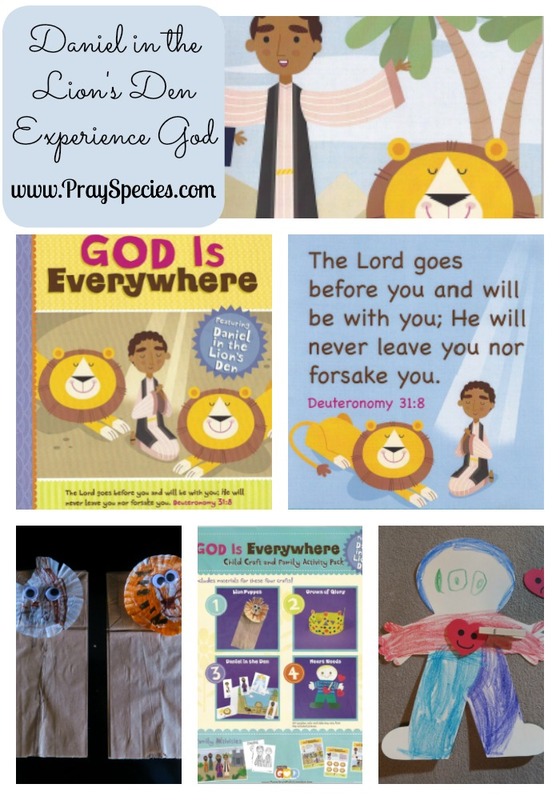 The basic Experience God package comes with a teacher guide book, story cards, and a bible verse poster. That’s a total of six unique exercises to explore each week! I find the discussion questions and ideas included in the teacher guide particularly helpful for talking with my kids about the bible story and helping them relate the projects to the teaching goals. 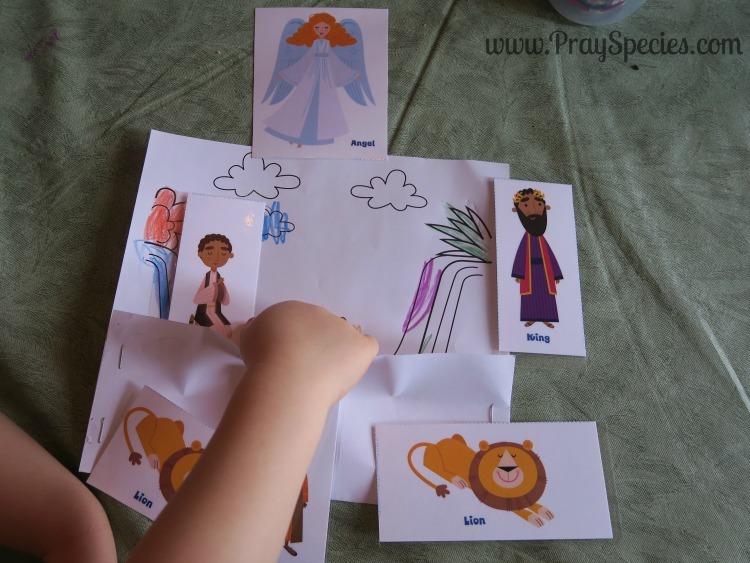 The story cards, which are big and colorful have the story written on the back at a level appropriate for a preschooler. The image below doesn’t do them justice. 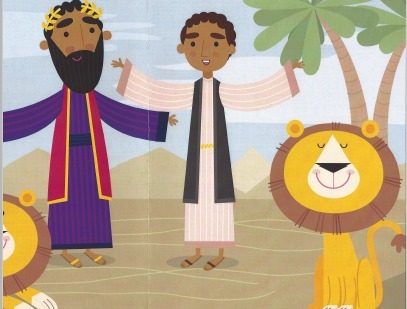 They are over sized and long and include actions the kids can take (roaring like a lion or folding their hands in prayer) to keep them engaged in the story. The kids love them and I often read them over breakfast, since it’s easy to show them the image while reading the story on the back. 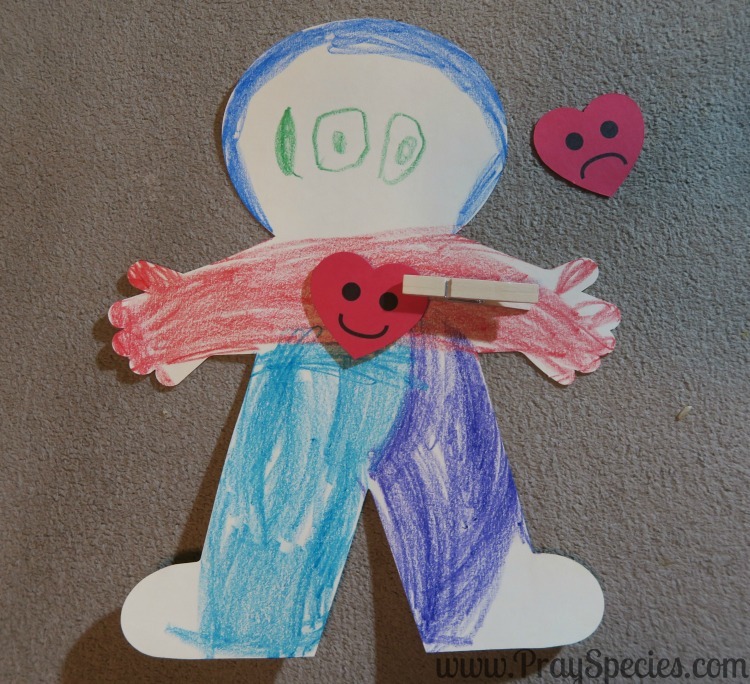 There is also an option to include child packs ($5 a piece), which have the supplies needed for each art project pre-cut, packaged, and sorted. They’re awesome. There are also additional family games and materials. 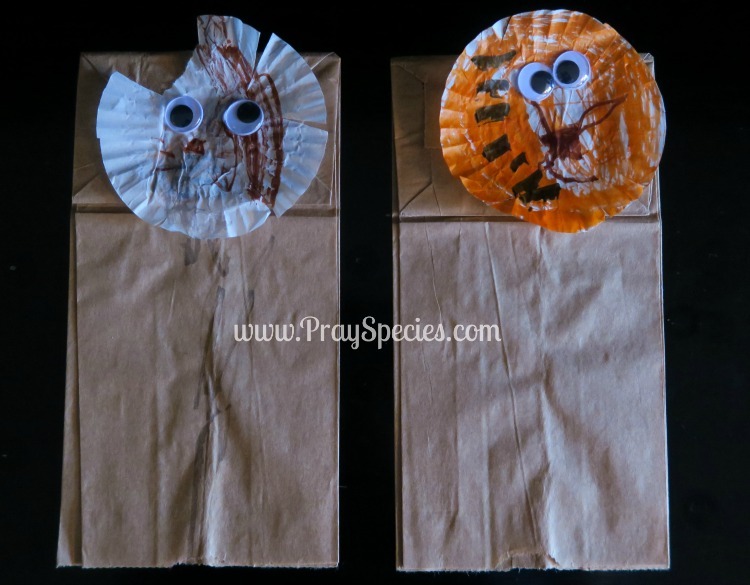 Here are our versions of the art projects included with this unit. 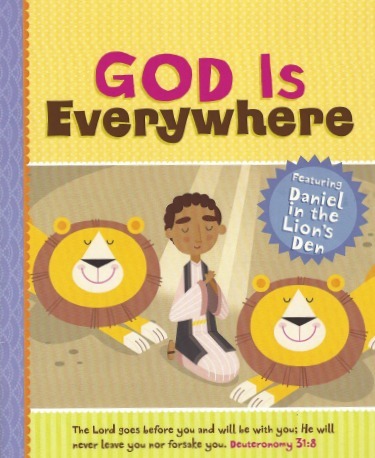 After completing this unit, my daughter (3 years old) can retell the story of Daniel in the Lion’s Den. She can explain that we don’t pray to anyone but God. 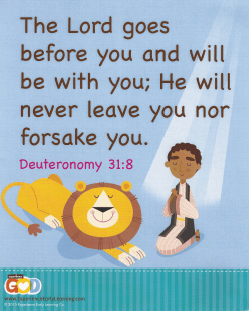 She also seems to understand that God is always with you and there when you struggle or face your own figurative lions. I’m thrilled that she has responded so well to this unit. My two year old doesn’t fully grasp a lot of the underlying concepts, but he does understand that prayer is talking to God and he loves acting out the story. Working together, they have converted our ottoman and occasionally our tub into a lion’s den. I look forward to working more with Experience God and watching my kids learn these amazing stories! Experience God is available through Mother Goose Time. The teacher pack is $14.99 and each child pack is $5. There is an option to download a free pdf sample here. I am delighted to share our personal adventures with Experience God in exchange for an opportunity to use their curriculum.